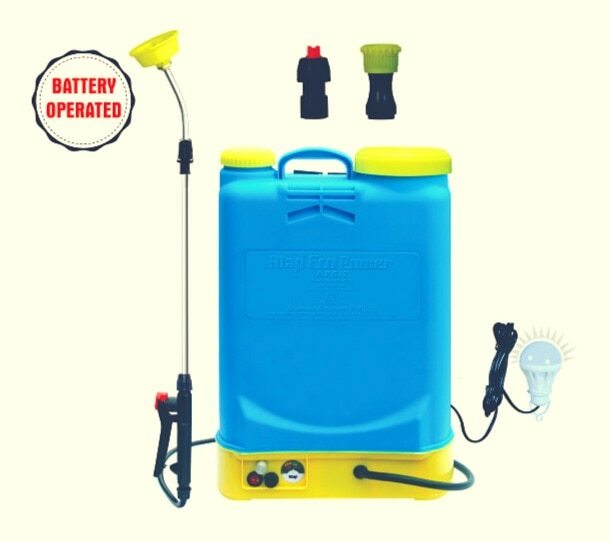 • An Ideal Sprayer for pest control in all crops and vegetables. • Maintenance free big sized powerful battery - 12V/12Ah. • Mini diaphragm pump - 100 PSI • Three stage reliable and durable charger. • Trigger type, leak proof auto cut-off device. • Multi Hole Nozzle. • Telescopic (expandable) lance. 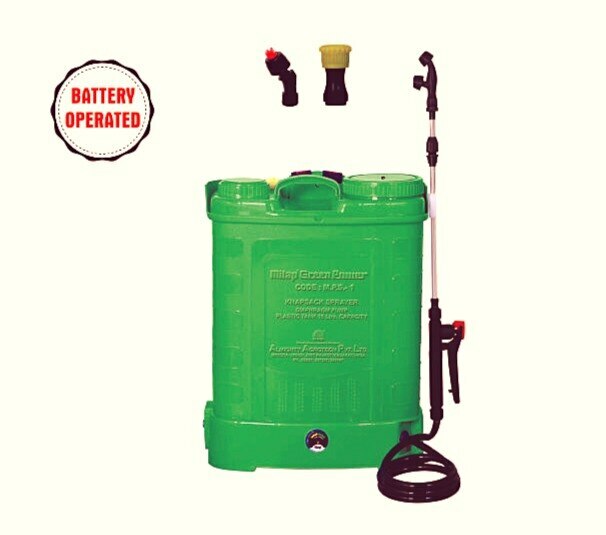 • Battery works for spraying 512-560 Litre (32-35Pumps), solution at fully charged once. • An Ideal Sprayer for pest control in all crops and vegetables. • Maintenance free big sized powerful battery - 12V/12Ah. • Mini diaphragm pump - 100 PSI • Three stage reliable and durable charger. • Trigger type, leak proof auto cut-off device. • Flower type multi hole nozzle with 4 holes and fan flat type nozzle. • Telescopic (expandable) lance. 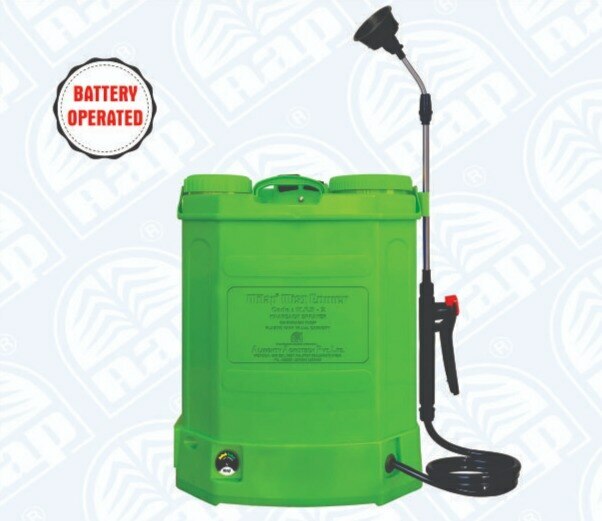 • Battery works for spraying 640-670 Litre (40-42 Pumps), solution at fully charged once.